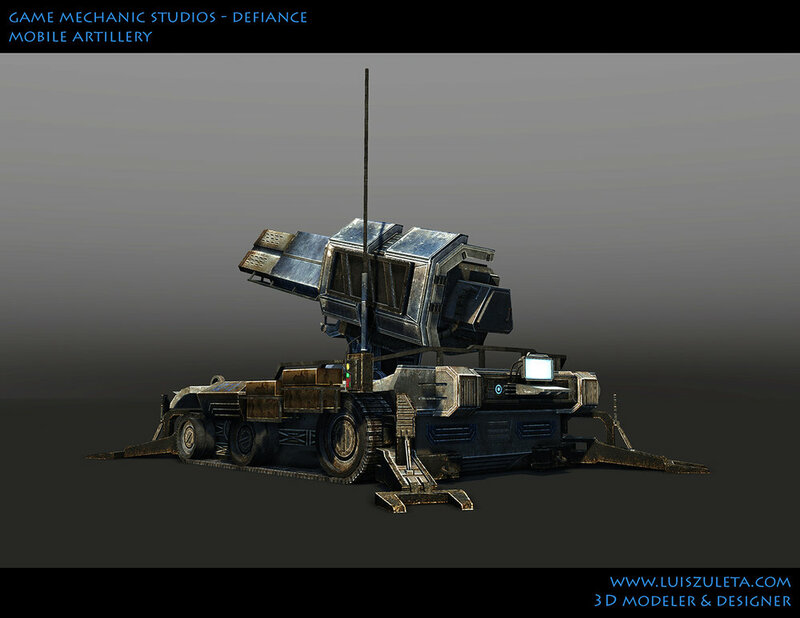 Defiance is an ambitious MMO game that is connected to a story from a television show with the same name. 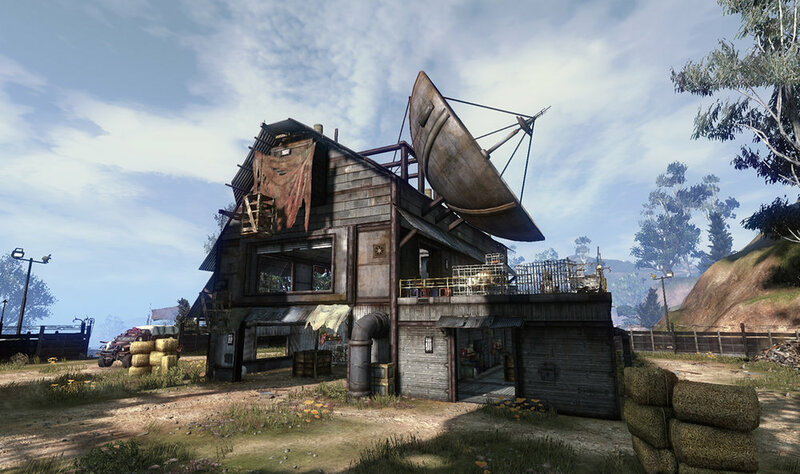 Instead of having individual textures for each building, asset, etc. we worked off of a method of creating a "palette" texture. Different types of tileable textures of roofing, walls, metals, etc. 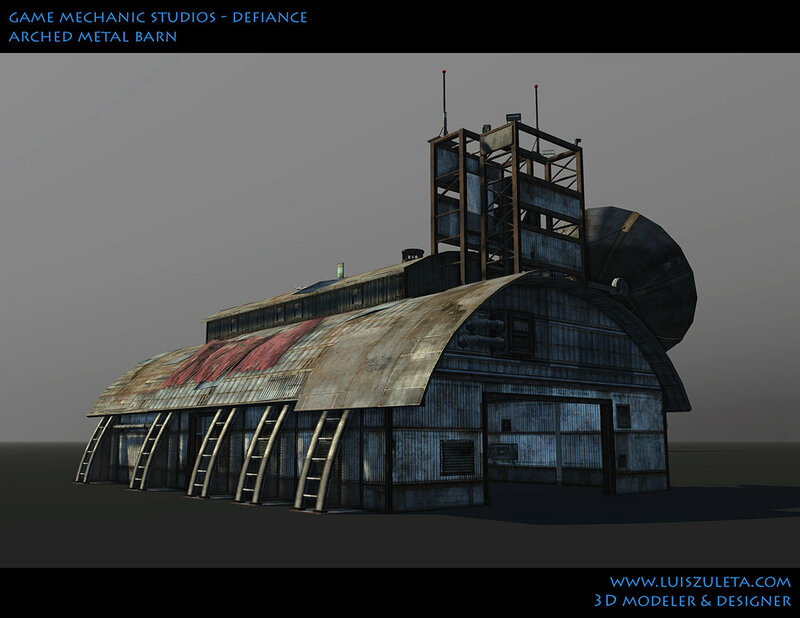 where all created on one large texture, and we would mix and match textures on all the different assets. 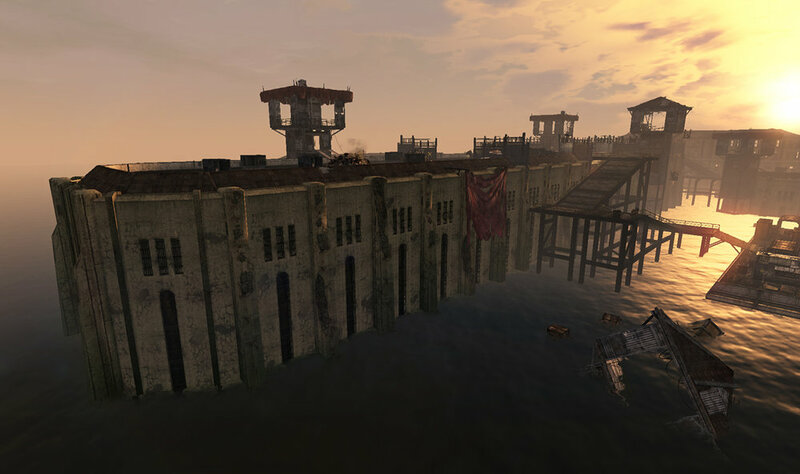 This was done in order to keep the memory footprint as low as possible because since there would be hundreds of people playing online at a time. My knowledge of doing similiar work on Transformers helped greatly in knocking out completed buildings quickly.